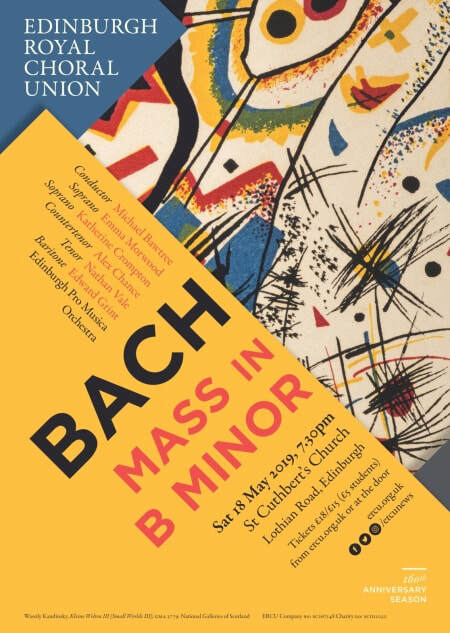 Arguably Johann Sebastian Bach’s greatest single work, the towering Mass in B minor offers thrilling choruses, beautiful arias and dazzling virtuoso instrumental solos, providing enjoyment, enlightenment, solace and challenges to audiences and performers alike. Tickets: £18/£15 (£5 students) available from TicketSource (below) or on the door. Keep in touch with ERCU and find out more about our upcoming concerts and events. Sign up below to join our mailing list. We look forward to welcoming you to one of our concerts this year. Bach "Mass in B minor"
To read reviews of previous concerts, click here.